Corn silage serves as high-energy forage for dairy cows. This is most important for high-producing herds. Corn silage, with its relatively high energy content, is also well adapted for use in low-cost rations for fattening cattle. Good corn Silage is an excellent feed for cattle, both beef and dairy as it contains plenty of protein and energy. Milk production is highly dependent on the amount of energy a cow consumes. 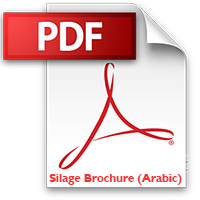 • BOLSON Silage has green-grain ratio of 60-40 which is optimum for silage production. • Easy to digest and sweet in taste (preferred by the animals). • Ideal protein, fat, fiber, pH, dry matter and moisture help to enhance both milk and meat production of the animal. To make sure that our customers get the best quality silage, we use state of the art machines to harvest, chop, bale, and wrap the silage along with the best quality inoculants to enhance the fermentation process. The goal in making good corn silage is to efficiently harvest and get the maximum amount of digestible nutrients per unit of land area. For this, time of harvesting and the machinery one uses are important. FERABOLI Harvesters (Italy) are best known to harvest maize crop because of their unique chopping system. To get maximum nutrients these harvesters make sure that no grain or green is left undamaged which is very important for digestion of the animal. This helps the animal to utilize the nutritional benefit of the silage to the maximum. Key to achieve good silage is the creation of dense, well shaped bales and the effectiveness of the airtight seal. For good age and freshness of silage, the bales should be compact, as it is necessary for the fermentation process. To ensure proper baling, we use Balers from GOWIEIL, which have advantage over other balers as these make the fermentation process quick and press the fodder for a longer life of silage. Inoculants are an important additive to the silage for its fermentation process as it maintains the balance between moisture and dry matter, giving it a longer life. Inoculants produced by Sil-All, a UK based company; known for its quality forage additives gives our silage a longer life. Through these strengths, these wrapping films keep and protect the silage for 12 months and are not torn easily. Through all these steps, we ensure best quality of silage to our valued customers.